"Short but sweet for Rise of the Tomb Raider's first story-based DLC"
Rise of the Tomb Raider came out several months ago on Xbox consoles to critical acclaim including here by yours truly. In the past few weeks, the PC version was released making one of the best looking games of 2015 even look better and also the first story-based DLC called Baba Yaga: Temple of the Witch. This can be played at any time once you reach the Soviet Installation area in the main camapign. The season pass for this game has been underwhelming so far with this being the only story-based DLC in the package along with Endurance mode, bonus outfits and a wave-based survival mode to come later. Baba Yaga's missions make you wish there's more content like that coming despite how short and sweet it is. The DLC begins when Lara finds a young woman named Nadia hiding in the Soviet Installation area as she informs Lara of her situation and grandfather. Lara has to travel to the Wicked Vale to confront the Baba Yaga, a mythical witch behind the murders of many but also the reason Nadia's grandfather is missing. If you thought the supernatural elements of the main game weren't much, Baba Yaga turns it up a notch with the horror-esque setting and hallucinations Lara deals with about her life especially her father. In terms of gameplay, Baba Yaga throws in nearly every gameplay mechanic into chunks. There's some platforming that still plays great, fetch quests to collect materials which are a major turn off for me because of having to backtrack within the main game to get what I need, a challenge-tomb like puzzle before the main encounter with the witch herself. I did play this with my 100% save, so I did feel overpowered with the weapons I have at my disposal, so I'm sure playing this while playing the main campaign would be a bit different difficulty-wise. 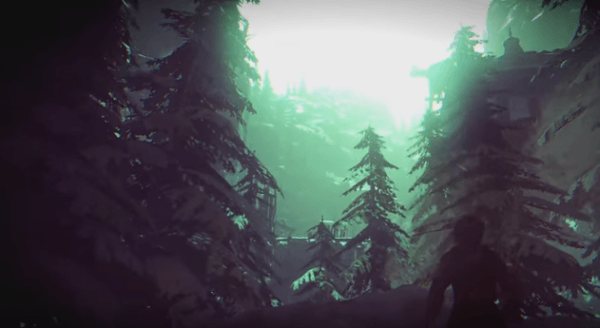 The horror-based tone also works for Rise of the Tomb Raider's amazing graphics. These caves and areas are disturbing to look at as you do feel for Lara when she is in her hallucinated state. I wished this tone lasted longer than it did because these missions take about two hours to beat. At least there's an unlockable weapon and outfit once you take down the witch. 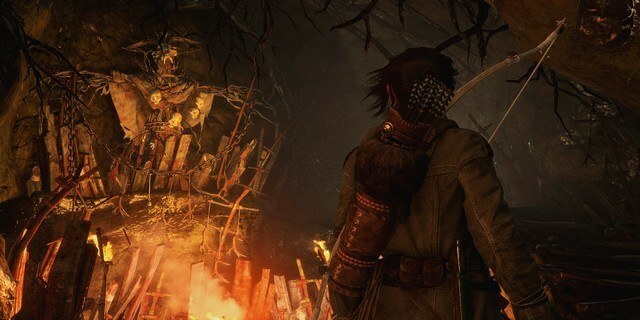 For $9.99, Rise of the Tomb Raider's Baba Yaga: Temple of the Witch doesn't offer much to be worth the value, but what's there is the game at it's finest telling a story that is beautifully paced just like the main campaign. Sure, I wasn't a fan of the fetch quest that's in it, but changing the tone entirely into more of a horror and darker vibe is a welcoming addition. It's unfortunate that the rest of this game's season pass is disappointing, but let's hope we see more of content like Baba Yaga on a bigger scale after the rest of the DLC that is currently planned comes out.